How Much Do Halfway Houses Cost? What Happens at a Sober Living Home? Is There Sober Living for Teens? Sober living houses, also known as halfway homes or halfway houses, can be a vital link back to the community by bringing together individuals at varying stages of addiction recovery. They provide temporary housing for people who have completed treatment at a rehab facility and are not ready to return to their everyday lives. Halfway houses offer a structured environment that often includes remaining abstinent from alcohol or drugs. Residents usually attend recovery meetings or counseling while in sober living and may look for a job or attend school while staying in the house. Halfway houses or sober living homes can range from inexpensive ($100-$300 per month) to expensive (over $2,000 per month). Most sober living homes cost the same as renting an apartment. Sober living houses in areas with a higher cost of living, such as New York and California, will tend to be more expensive. Personal savings account or 401(k). Setting up a payment plan with the sober living home directly. Some sober living homes take insurance. However, it is up to your insurance company to determine how much will be covered and whether or not there are co-pays or deductibles. It is best to discuss this issue directly with your insurance company and the sober living home. Earn income. Sober living houses allow you to come and go throughout the day, which allows you to work to cover the costs. Negotiate a payment plan. Some sober living homes may understand the difficulty of getting back on your feet in early recovery and offer flexibility with the first month of rent or a payment plan. Look for scholarships. Some homes offer scholarships if you can show a commitment to recovery and make an effort to stay sober. Finance the cost. Personal savings, credit cards, bank loans or loans from family or friends can give you some time to find work or establish yourself before paying for sober living on your own. There are many ways to find good sober living homes. Doctors or therapists. Those who specialize in addiction may be able to recommend a halfway home based on their experiences with other patients. Word of mouth. Go to 12-step and other recovery meetings. It can be an effective way to hear what others have to say based on their own experiences. Read reviews. Some recovery homes may have reviews from former residents posted online or on the Better Business Bureau (BBB) website. Halfway houses provide more structure and support than you might receive by returning home. Halfway houses are generally less regimented and allow more freedoms than residential rehab programs. Still, they provide more structure and support than one might receive by returning home. They allow you to work or attend school, but they also expect that you are putting effort into your recovery and attending recovery meetings. While many sober-living houses specialize in one specific form of addiction, a few gather together different types of addicts. It’s less common to find a sober house for behavioral addictions, such as gambling or sexual compulsion. A sober living home is typically run by a staff member who takes responsibility for making sure the house is drug-free and rules are being followed. Sober living environments each have specific expectations and rules. For example, they require you to be completely abstinent from drugs and alcohol and may conduct random drug testing at any time. Halfway houses have specific expectations of their residents. If rules and responsibilities are not followed, you may be given warnings or discharged from the home. First and foremost, you are expected to stay sober and not bring any drugs or alcohol into the home. Many homes require that you go to job interviews and find work. Returning to the working world is an important step in recovery because it gives you a sense of purpose and provides structure. You are given chores that are expected to be completed. The home may require that you attend 12-step or other recovery meetings. Sober living home stays differ from person to person, but are typically between 3 to 12 months. This allows enough time to get back on your feet, secure stable employment and feel strong in your sobriety.Some homes may require that you commit to staying for a specific period of time or have you pay up front. If you choose to leave prior to the agreed upon date, then you may risk losing your deposit. Most sober living homes conduct random drug testing to ensure the home is drug-free. The frequency of drug testing varies and is up to the discretion of the staff. Drug testing is usually conducted daily at the beginning of your stay, and may gradually taper off after you have been sober for a period of time. If you are not court ordered or mandated to be there, then you may leave the sober living at any time. However, like other rental agreements, you may lose your deposit or rent for the month if you leave prior to the agreed-upon contract with the sober living house. Looking for employment will never be easier for a person in recovery than when a support system is in place and a schedule is provided that allows adequate time for the application process, including interviews and pre-employment drug screenings. Adjust to sobriety. While housed in a residential inpatient program, you often have very few liberties. Back at home, the sudden burden of making responsible decisions can be overwhelming for some. A sober house program will have rules to follow, but these rules always have an emphasis on the eventual transition back to independence. Arrange housing. Many residents come to their sober living communities without a home. Others have homes but are afraid that returning there will present temptations or other potential obstacles to recovery. Transitioning from halfway house life to a more independent living situation can be facilitated with feedback from other residents and staff on what to look out for. Mend fences. An important step in the recovery process is to make amends to those who have been affected by your actions. This process can be liberating. The support you find in the sober living community will help guide you through the process of rebuilding shattered relationships and putting back together some kind of outside support network. Many halfway homes are exclusively for teens. These halfway homes allow teens to work on their recovery and develop independence and responsibility while attending school or work. Adolescent homes are managed by adult staff who ensure teens are remaining drug and alcohol-free and obeying house rules. Work or go to school. However, some rules may be stricter to help teens develop the skills they will need as sober adults. For example, adolescent homes may have early curfews and restrict outside visitors. In 2010, the Journal of Substance Abuse Treatment published the results of an exhaustive study on the statistics for former residents of sober-living communities. The research found that at 6-month intervals ranging up to 18 months post-treatment, recovering addicts who passed through some kind of structured halfway house environment were significantly less likely to face relapse, arrest and homelessness. One of the key findings of the study was that a major factor in the improved outcomes for the subjects was the large and mostly positive community of support that was established in the very early days of sober living. How Do You Get in to a Halfway House? To enroll in a sober living home, you must first be drug-free and in active recovery. Some homes will require that you already be sober for a period of time. Choosing a sober living environment can be a tough decision, because there are many different residences available. You can consult with a treatment professional, your insurance company, or use word-of-mouth to see what sober living homes are recommended. Start by contacting the home directly and setting up an appointment to meet with the staff. 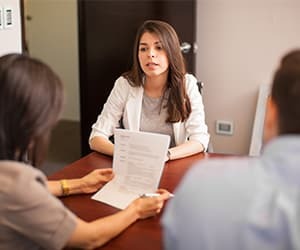 Sober living homes often have an interview procedure before they take on new residents to ensure that residents are motivated and not going to bring drugs or alcohol into the home. Are There Non-12-step Sober Living Homes? Are There Free Sober Living Houses? Some sober living houses are free and government-funded or run by nonprofit organizations. Some private sober living homes also offer scholarships and grants to cover the costs. Free or low-cost sober living homes often have waiting lists, however. Try to have your name put on a waiting list as soon as possible and follow up regularly. Many low-cost programs are looking for residents who can show commitment to their recovery and to sobriety. How Do I Find Sober Living Near Me? To find sober living near you, search the directory[/link] on our homepage for halfway houses in your area. You can also talk to a counselor or other addiction professional for recommendations, or anyone you know who has been in recovery. Do Halfway Homes Take Insurance? Some halfway homes accept private insurance, Medicare and/or Medicaid. You can call your insurance company directly to ask about your benefits, deductibles and copays. How Do I Determine the Credibility of a Home? Finding a quality sober living home is made easier by accreditation agencies that ensure that their affiliated sober living homes meet appropriate standards. The Commission on Accreditation of Rehabilitation Facilities (CARF) accredits addiction treatment programs and sober living homes throughout the United States. Programs that meet CARF’s high standards are required to demonstrate quality service delivery and a commitment to continuously improving care. The National Alliance on Recovery Residences (NARR) also provides a directory of recovery residences that meet national standards for quality care.
. Polcin, D. L., Korcha, R., Bond, J., Galloway, G., & Lapp, W. (2010). Recovery from addiction in two types of sober living houses: 12-month outcomes. Addiction Research & Theory, 18(4), 442-455.